Please join us for Mass on Tuesday, September 11 as Monsignor Farrell High School celebrates the memory of those killed in the attacks on America on September 11, 2001. Mass begins at 8:30am in the gym. The tragic loss of life that occurred on September 11, 2001 was felt very deeply on that day by the Farrell family. Unfortunately, loss has not been confined to that single day. Hundreds of first responders, and others who worked or lived near Ground Zero, have died from 9/11 related illnesses. As the seventeenth anniversary of the September 11th attacks approaches, we at Farrell remember, honor and pray for all who lost their lives as a direct result of the actions taken on that day. 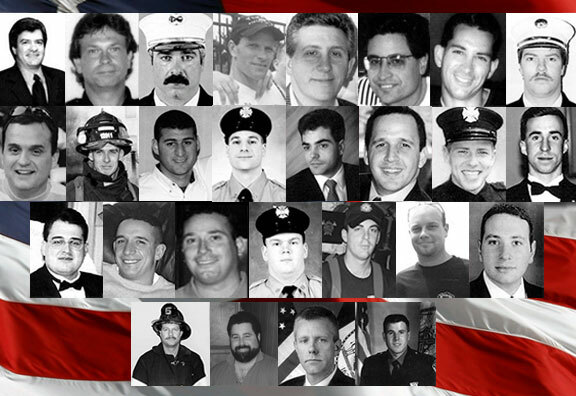 Twenty-three alumni died the moment the towers collapsed, and in recent years, we have learned of the passing of four more of our Farrell brothers who lost their battle with illnesses borne from that horrific day. We wish to keep in our thoughts and prayers all alumni who were lost during this tragedy, so if we have not included the names of any alumni who have passed in the years following the 9/11 terrorist attack due to affiliated illnesses, please contact the Institutional Advancement Office so we can include them and their families in any future memorials and prayer services.